i bought this bag from the merch stand on my way out. 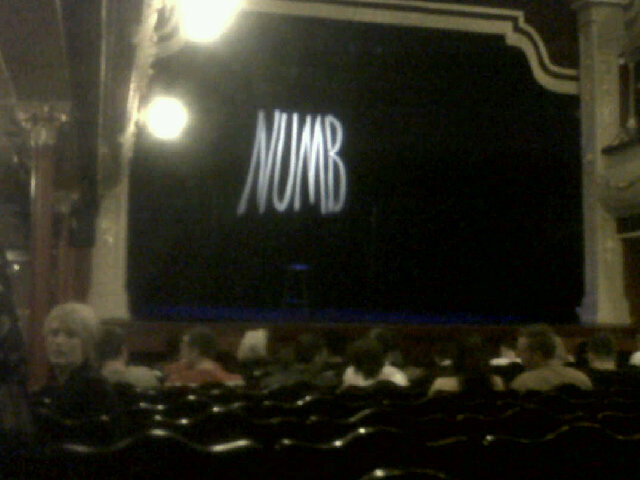 it says 'simon amstell numb' on the back and i love it. i always think these cotton totes are a weird shape - too square for a4 folders - but i bought it anyway. it was £8. they had signed dvd's but i already had a copy of his first tour so i didn't buy one. and since you love shopping and books, i really had to!